New York, London, Milan, Paris. Fashion month just wrapped up and we have a pretty good idea what spring-summer 2018 will look like. But if you are like us and still figuring out your fall fashion situation, you’ve come to the right place. And since the action off the runway is as important as the collections on it, we sifted through all the street style trends that ruled the sidewalk to bring you the top 5 looks. Read on, recreate your fave fashion month moments. In short, dress like a street style star. Wear it with a matching pant or throw it casually over your jeans-and-tee uniform, the plaid jacket is your statement third piece this fall. This season’s version is modern and reimagined and explores styles beyond the classic shape. Slouchy or cape-inspired, oversized or a cute crop, pick your plaid to match your silhouette style. 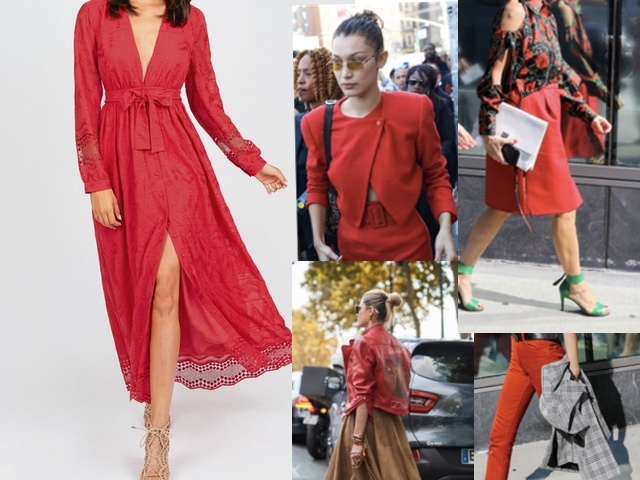 A dash of red is all you need to feel like a fashionista this fall. The easiest way to be on-trend is to include the season’s it color in your #ootd and smile at those compliments coming your way. Our fave form of red at the moment is this gorgeous maxi dress. Try it to believe it. For all those days when you have nothing to wear, an updated white blouse is the perfect solution.There’s something so glamorous about those winter whites. Just dress it up with a pair of heels and your favorite denim and you are good to go! A timeless button-down, a trendy off-shoulder, something with statement sleeves or with dramatic ruffles, there’s something for every one. 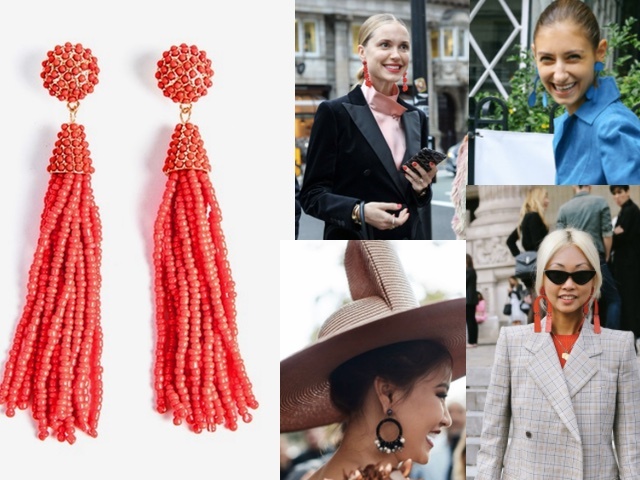 Statement earrings have been enjoying their place in the summer sun and by the looks of it, have so sign of slowing down this fall. Dramatic shapes in vivid brights or high octane metal, there’s only one rule — the bigger, the better. 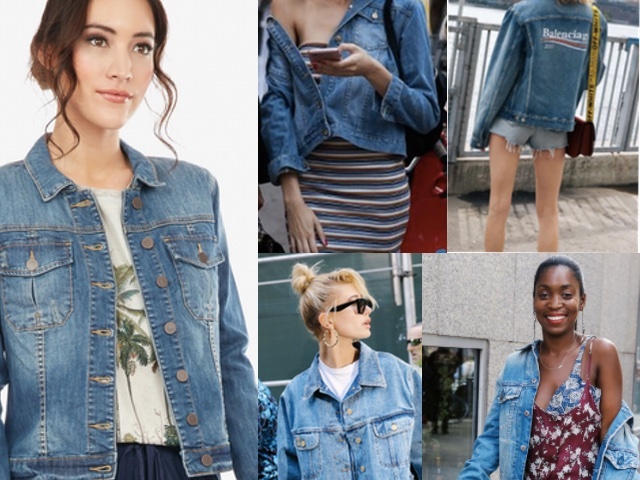 Fashion girls have really taken to Americana and the quintessential denim jacket can’t be left behind! Drape it on your shoulders #LikeABoss and don’t worry if it slips. Bonus: It’s the perfect fall layer when the temps are fluctuating and your style can’t afford to.